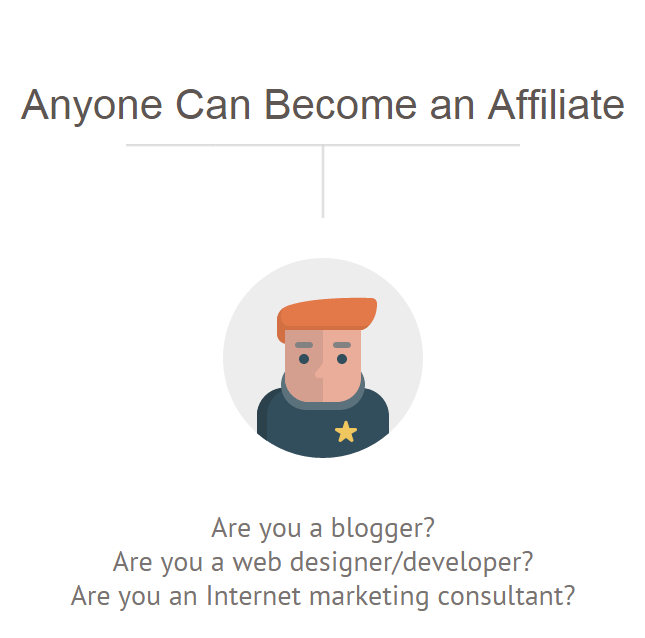 We’ve all heard of affiliate marketing. It’s supposedly one of the fastest and easiest methods of making money online. All you need is a link on your page and some reasonable traffic volume. You’ll get paid a commission for all of the sales that result from customers who come from your page to the affiliate’s website. This article will go in depth with the various techniques you can use to start making a profit with your very own affiliate program. Let’s get started, shall we? 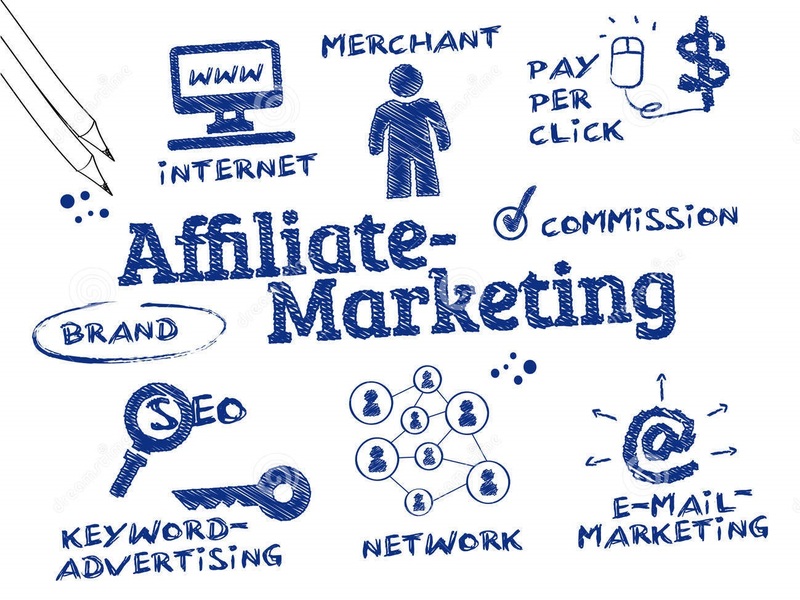 As we learned above, making money with affiliate marketing begins with becoming an affiliate in order to promote a company’s products or services. You publish ads, web pages, blog posts, and videos to direct traffic to the websites of the businesses in question. Or, alternatively, you can sell their products yourself. Basically, you become a corporate shill. Selling out to buy in as it were. Of course, this is hardly as negative as it sounds. Picking a niche industry and familiarizing yourself with a set of products that you already enjoy and then selling them, can be very rewarding. It doesn’t mean you have to sacrifice any integrity whatsoever. You can be as involved with the companies as you like, only promoting the products and services you think are worthwhile. So how does this play out exactly? Let’s say you write a blog post promoting an eBook. Let’s also say that eBook costs $5.00 USD. If one person clicks through your affiliate link within the blog post, and purchases said eBook, you earn 4% of that purchase, a whopping $0.20. If six more people do the same within a month, you get bumped up to 6% of 7 purchases totaling $35.00, making you a grand total of $2.10. At this point, you’ll probably begin thinking that you might should be more discriminate with the product you choose to promote. It is possible to make a great deal of money using such a program but it requires you to promote products that sell well, and you must have a highly engaged and voluminous audience. If you’ve already built a webpage with a great deal of daily visitors, all of whom are extremely interactive with your content, then this is a golden ticket. However, most of us start off much smaller. So what does the little guy do to get some attention on their affiliate products? 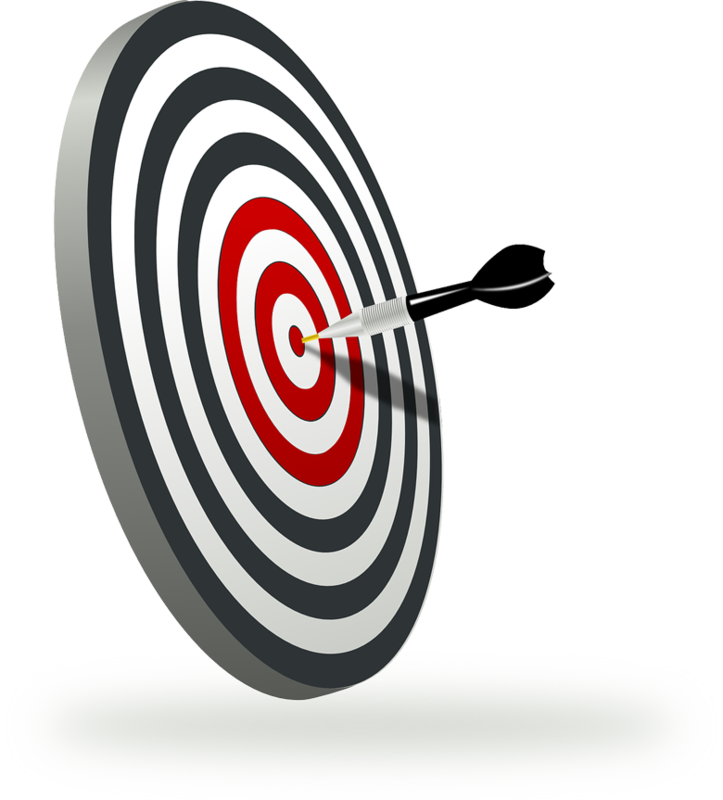 Use these to develop a broad outline of who your target market is. From there, you’ll want to get more specific. Craft precise customer personas with names, ages, locations, genders, interests, values, hobbies, and the like. Create detailed personalities that you can run through hypothetical scenarios, showing how potential buyers will interact with you site. Once you’ve honed your target market to a fine point, you’ll be prepared to appeal to their interests and emotions. In other words, you’ll have a leg up in engagement, and subsequently: relationship building. If you’re able to build a relationship with a customer, you’ll not only be better able to procure the sale, but you’ll also create repeat buyers. Now this might sound like a bit much for a simple affiliate, but this is the essence of becoming an affiliate marketer. You’re a brand promoter, and anything you promote is something a member of your audience should actually appreciate, because you’ve already done your homework on them. You’re maximizing your profitability by being well informed about who you’re advertising to. Paid advertising is something like a Google AdWords PPC ad, which you can purchase so that they’ll appear in search ranking results. However, these ads have a complicated ruleset that you must adhere to, but we’ll talk more about that later. Other types of paid advertising can be done on Facebook, Twitter, and other social media outlets with marketing programs. These can be especially effective marketing outlets because they allow you to target users in your niche based on the data that they submit through their social media profiles. 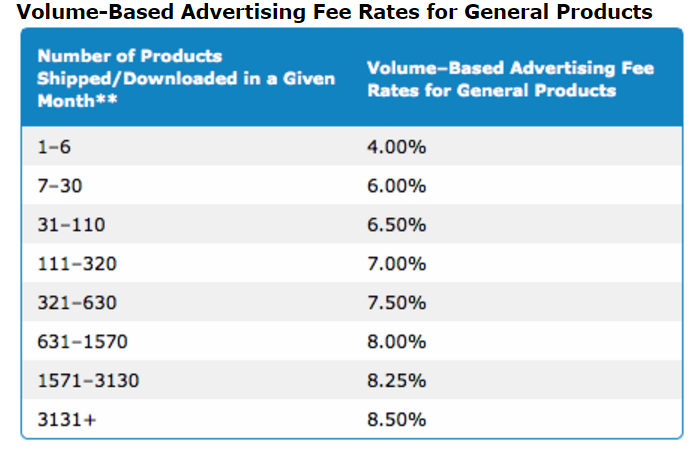 Check out this handy guide to paid SMM ad to learn more. Unpaid advertising, is the longer road, but ultimately the more rewarding. Unpaid advertising basically consists of your content marketing and SEO efforts. These can be an infographics, blog posts, podcasts, video content, music, or anything else that your users will interact with. You should also use SEO techniques to draw search traffic to landing pages setup exclusively for your affiliate partners. Take a look at some of the common content strategies for affiliate marketers. Once you’ve identified your audience and decided upon the best ways to reach them, it’s time to engage in some more advanced strategies. Let’s take a look at how you can leverage your knowledge of the members of your target market once you’ve gotten them on your affiliate site. Some affiliate programs will not only pay you a commission for any affiliate sales you make, but also for sales that any other affiliate you recruit will make as well. That means you can earn money by letting someone else do the work. That’s a good deal no matter how you slice it. Landing pages are an art and science all their own. They are web pages whose sole purpose is to gain a conversion. In your case, to procure a sale or redirect traffic. A fantastic landing page will help prep the visitor to make the sale, improve conversion rates for your affiliate partner, and be engaging all at the same time. Powerfully converting landing pages always provide some sort of value to their visitors. This can be something like offering an in-depth explanation of an offer or product. It can also include an interactive element like a game or service that illustrates a point or provides a value. One example is the interactive form on this Bills.com landing page , which prompts users to fill out a form and then offers them debt consolidation solutions. For more tips on how to make a successful landing page, check out this article. To take the idea of an interactive landing page a step further, what about an interactive landing site? When you use content to engage a site visitor for the purpose of making a sale, it helps to inform them about the product they’re selling. That means you can dedicate a site to product reviews, and the include links to said products. Not only that, but you can actually use your web real estate to create a search engine for the products within your niche. Curate multiple affiliate links to multiple products and help your users make an informed decision about the products they’re already looking for. You facilitate their decision, engender user loyalty, and make a commission on any of the sales. It’s a win-win-win. Many affiliate programs allow you to setup your own discounts and deals for your customers. So you can incentivize your affiliate site in particular, by offering your visitors exclusive discounts. You can even use promo codes to accomplish the same through an email marketing campaign. Implementing discounts is usually fast and easy, plus it has the added benefit of attracting more customers who are hungry for bargains. Learn more about the psychology of discount pricing strategyhere . Mobile device usage is at an all-time high, and it’s only going up. If your website doesn’t have a responsive web design architecture in place already, then you’re missing out on valuable affiliate traffic. It’s imperative that your users be able to have a consistent and engaging experience no matter what device they’re using. You can sell affiliate products directly from your site. No inventory, no hassles. Just market the products as we’ve discussed above and earn a commission through your own website. It’s not all sunshine and roses. Affiliate marketers have to watch out when they’re paying for advertising on major PPC provider, Google AdWords . There has been a pervasive rumor going around that AdWords is actively discouraging affiliate marketing without outright stating that they no longer approve of the practice. Let’s unravel the roots of this rumor and discuss the practice of affiliate marketing with PPC ads. Is Affiliate Marketing Banned on AdWords? 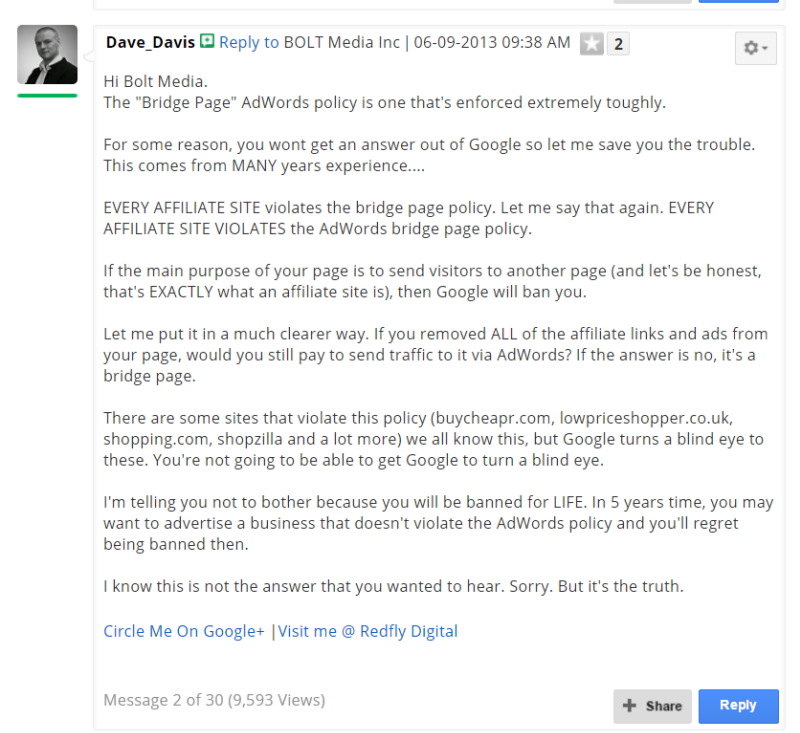 Affiliate marketing is not banned on Google AdWords, however, many affiliates have found it extremely difficult to adhere to AdWords’ “Bridge Page Policy”. The long and short of it is that the policy disparages any site or ad that offers little in the way of original value or content to a user. If your ad focuses solely on bringing in traffic to your site, and there’s nothing on that site worth the user’s time, then you’re in for a banning. As you can guess, determining what qualifies as “worthwhile content” can be more than a little tricky. It’s an entirely subjective process, and you’ve got to be willing to go through some trial and error to get it right. Google AdWords ‘community forum is filled with posts which try to explain what not to do, and there are even more stories of the tremendous hoop-jumping that affiliates have had to go through in order to keep their ads/sites from being banned. While this example sounds confident, conclusive, and quite damning, it’s important to remember that these are just users who’ve been frustrated by the system, and they’re definitely not the end all/be all when it comes to Google policy. While it is true that Google explicitly labels “Content that is designed for the primary purpose of showing ads” as “Low value,” that doesn’t mean that any and all ads are banned within a webpage containing high quality content. The trick is to keep your ads organic. What I mean by “organic,” is that your ads have to add value to your content, without taking away from the purpose of the piece. That means, if you want to pay for PPC advertising on Google AdWords, your affiliate links can’t be the focus of your page. In many cases, direct linking to the merchant as a resource for something related to your subject matter is an excellent way of keeping your content in the clear. You can also use your site to offer promotions that aren’t found on the merchant site, this adds value to your content that wouldn’t be found on your affiliate partner’s site, which makes you more than just a bridge page in the AdSense Support team’s eyes. Likewise, you can offer objective and balanced reviews, product testimonials (as long as they aren’t false/outlandish) and other descriptive content which highlights something that the visitor won’t get from the merchant site. An example of this value added technique in practice would be a website like FavoriteHotelsCollection.com. Though it links to affiliates who offer the user booking services for car rentals, hotel stays, and plane tickets; the comprehensive travel guide contained within allows it to still utilize Google PPC advertising. That’s because the guide is objective, provides a value to users interested in traveling, and serves as purposeful content—apart from the affiliate links. Keeping abreast of the bridge page policy can seem complicated, but as long as you’re serving your audience high quality content, it should be a relative breeze. There is one other thing to worry about as far as affiliate marketing for AdWords goes though. Certain affiliate networks disallow you to use certain keywords related to the merchant site. For example the TemplateMonster affiliate program forbids the use of the keyword “templatemonster” or any other misspelling/variations on their name. Now you may be thinking that it’s rather selfish to keep the name all to themselves, but there’s a good reason for it. Two, in fact. The first is to avoid customer confusion. If you’re bidding for the keyword “Templatemonster,” and you have the keyword in your domain name, then that distracts potential customers from the actual TemplateMonster.com. It confuses customers into thinking that you’re the merchant, and that’s bad for business. The second reason is the legal off chute of the first: trademark law. Trademark law is the set of legal statutes that protects intellectual property from plagiarism and other forms of nefarious copycatting. Basically, any time you use a product or brand name that is not your own without authorization, you’re siphoning off profit from that brand. Violating these laws will put you in hot water with your affiliate partner, and open you up to litigious retaliation. Your site can be taken down, and you can be fined for any profits you receive that can be connected to your use of the trademarked name. So how do you avoid running afoul of trademark laws? First and foremost, you need to review the policy of your affiliate partners or merchants. They will explicitly explain what’s acceptable and what’s forbidden. Next, you can research for yourself what has and has not been trademarked. You should also avoid the usage of trademarked logos or images on your website or ads. 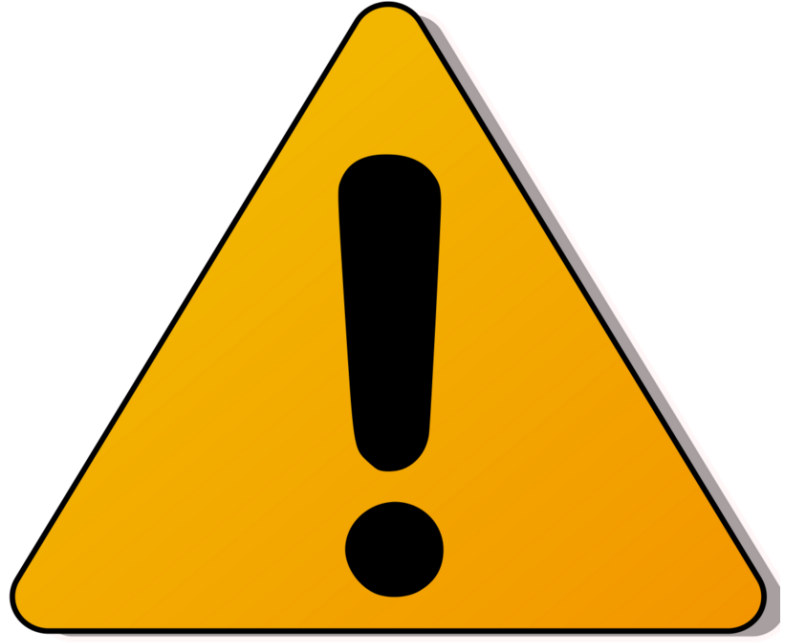 And while disclaimers are a good practice, you should avoid anything close to what could be considered infringing on trademark law which would require a disclaimer. Now that you’re familiar with the various issues that may trip you up, it’s important for you to carefully pick and choose which products and which networks you’ll want to work with. Choosing an affiliate program is probably the most important step you can take in this entire process. 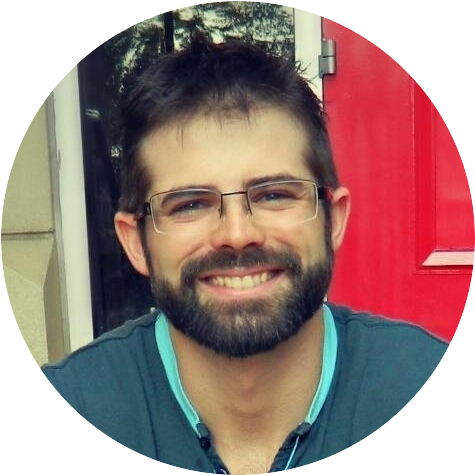 Partnering with the TemplateMonster affiliate program is a safe way to make money online. It’s also a direct relationship with a reputable merchant. That means no middle man taking a cut of your commission. Additionally, joining up is fast and easy. All you need to do is fill out the form on the signup page, then download a set of custom banners as well as the WP compatible widget.The entire process, only requires you to make three mouse clicks. More importantly, however, is the cut you’ll make on commissions. You can earn up to 50% of the sale for each paying customer you send their way. You’ll find that this program has some incredibly affiliate–friendly terms. 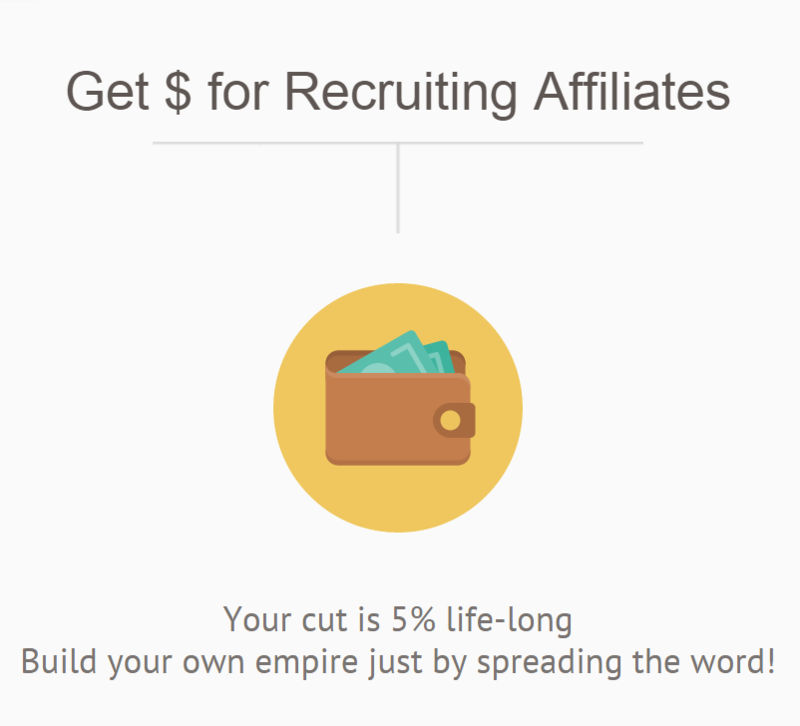 • Get Money for Recruiting Other Affiliates- receive 5% of your sub-affiliates commissions throughout their lifetime. • Internationalized Website- you can receive commission from traffic that originates all over the world. • Authorized Discounts- advertise up to a 10% discount on your site or ad and so long as you’ve been authorized, they’ll honor the discount. • 365 Return Days- Our cookies track traffic redirected from your site for a whole year, meaning you collect commission when a sale is made—even if it’s months after the clickthrough. • Multiple Payment Methods Supported- we accept PayPal, Scrill, SWIFT, Payoneer, Webmoney, and ACH transactions. • Free widget, API, RMS, and Other Tools- download free banners text links, HTML showcases, a widget that offers templates relevant to the reader at the end of your content, a fully functional template storefront of your own and much more. We provide you with everything you need to get started. All of this, and they offer 24/7 expert support from a team of trained affiliate technical aides. You’ll be hard pressed to find a program with a better payout, or a more supportive partner. Getting started is a snap and there’s plenty more educational material about the program on the TemplateMonster Affiliate page. how do you build affiliate links to track sub-campaigns? Very useful for new bees, thank you guys! Thanks for the comments, keep up with latest news on our blog!